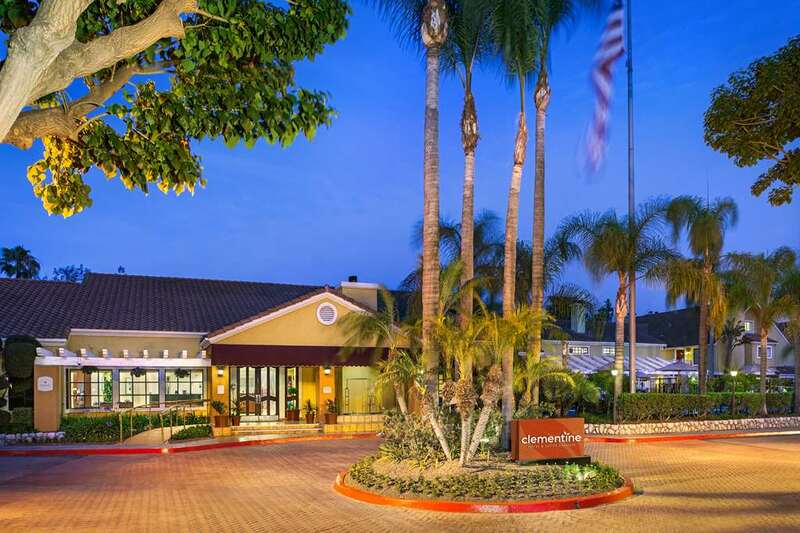 Your magical getaway to Disneyland starts at the Clementine Hotel and Suites Anaheim! Check into your suite with a cozy living area with a sofa bed fully equipped kitchen and spacious suites for a restful night sleep. Swing by the complimentary hot breakfast buffet in the morning and start your journey around Anaheim When you return to your suite post and share the highlights of your day with friends and family using complimentary Wi-Fi. Complimentary amenities include grocery shopping service and parking. We peel open a pathway for our guests to embrace the happy moments that await them. Nestled in the heart of the Disneyland Resort. All reservations require credit card to guarantee the room at time of booking. If paying cash we require a 250USD cash deposit at check in.